Dear reader, in a second you will learn everything about Moringa seeds. Let’s start with this nice review that Simon wrote just a few days ago 🙂 ! ARE MORINGA OLEIFERA SEEDS GOOD FOR YOU ? What Benefits Can I Expect From Moringa Seeds ? How many seeds can i eat in a day ? Are there any contraindication ? 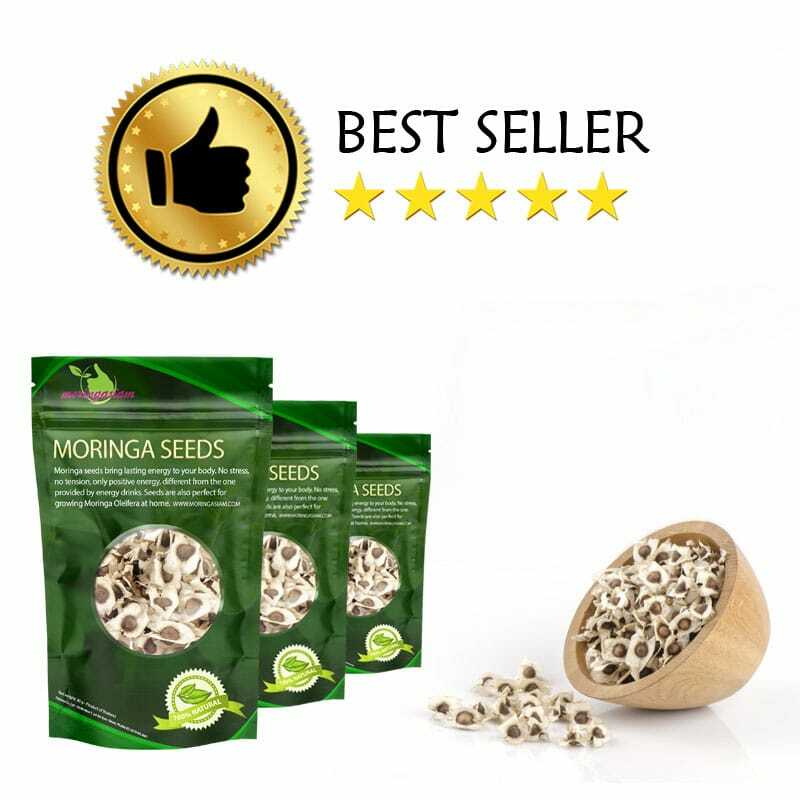 Is there anything i should know before using Moringa Seeds ? What makes Moringa seeds so healthy ? 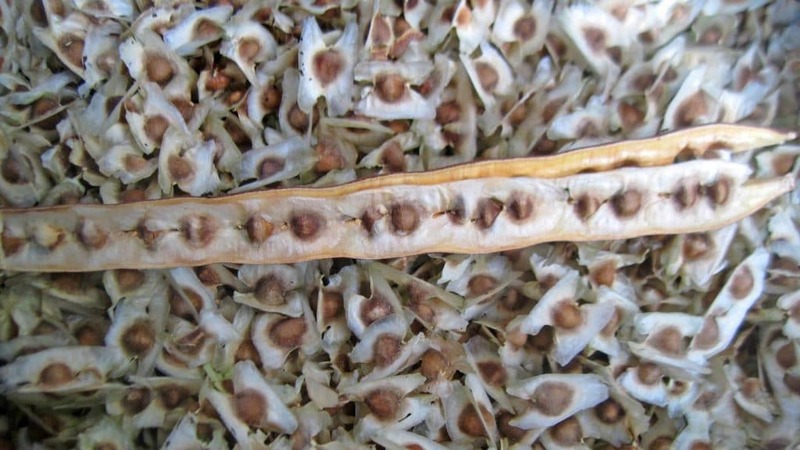 Moringa seeds, from the Moringa plant are annually harvested in the sub tropics of Asia and Africa. They are highly valued for their nutritional benefit, just like the Moringa plant itself. Moringa Seeds are rich in vitamins and minerals the human body needs to survive. It’s this rich concentrate of goodness that provides the seeds with antioxidant, anti-inflammatory and cholesterol fighting qualities. And two times more Protein than yoghurt. What are the benefits of Moringa Seeds ? Want to try ? It’s super easy ! Here is the good news ! If you want to get and stay healthy, we designed the Moringa seeds treatment. You don’t have to think about anything: just choose 1, 3 or 6 months duration and start your treatment the right way by eating from 5 to 10 seeds per day (recommended dosage). We recommend at least 3 months to get the best results. Let’s recap ! Just chew the seeds or swallow them. Either way is fine. Eat something before taking the seeds, as it’s not advisable to eat them with empty stomach. The Moringa seeds work to lower blood pressure. High blood pressure is becoming more and more of an issue as the Western world struggles with new obesity levels. High pressure can cause serious cardiovascular issues such as heart attacks and strokes. To naturally lower blood pressures, it is suggested you take part in exercise regularly and lead a healthy lifestyle. However for some people whom are already at a dangerous stage, exercise may be out of the question, so medication will be the only alternative. Preliminary studies show that Moringa and its seeds can lower blood pressure; however more research is still being done to confirm these theories fully. The current results prove Moringa seeds reduce oxidized lipids and safeguards heart tissues from constructional damage. Consult your doctor before trying Moringa seeds as a blood pressure balance. Each part of the Moringa Plant has its own benefits. Whether you’re using the leaves, flowers, roots or seeds, each will aid the body in a number of different ways. Below are just a few of the Moringa Seed benefits. Alongside its ability to lower blood pressure, this goes hand in hand with the seed’s ability to lower blood sugar levels. The seed’s rich zinc concentrate helps to regulate the secretion of insulin. With zero presence of cholesterol in the seeds, Moringa is known to reverse the effects of high cholesterol. High cholesterol rates in the blood are linked to the development of heart disease. In Ancient Thai medicines, Moringa is classed as a cardiotonic which controls and improves the way the heart contracts. Moringa products monosaturated fatty acids called oleic acid. Oliec acid (often found in olive oil) has many benefits for our health and can prevent blood clots or cardiovascular diseases. If you’re looking to improve your diet, aim to replace saturated animal fats with Moringa to keep your cholesterol levels down. Oils are extracted from the seeds to create a number of cosmetic products. The oils contain up to 30 antioxidants and a surplus of Vitamin A which are the ideal choice for skin products. Vitamin A enhances the firmness of the skin to appear more youthful and fights against signs of aging and stress. This is done by promoting collagen formation within the skin cells. The fatty oils are known as Ben oil and it forms roughly 40% of the seed. It has no smell or colour and tastes sweet. The skin absorbs the oils without saturating the oils on the surface of the skin – and receives all the nourishing qualities the oil has to offer. The oil works as both a moisturiser and an antiseptic cleanser to get rid of acne, pimples and blackheads. To use on the face, all you have to do is apply a few drops to the skin and massage it in like any other moisturiser or massage oil. Ben oil from the seed extract breaks down saturated animal fats in the diet and works with the digestive system to get rid of the fats we don’t need. By doing this, the oil reduces belly fat. The Moringa plant is well-known as a natural anti-inflammatory, so the seeds are no different. Moringa seeds can reduce soreness and boost the health of our joints. Strengthening the joints with amino-acids and proteins enables sufferers of arthritis and other disorders to live a more independent life. We’re all aware of the amazing benefits of Vitamin C. Moringa seeds host home to a huge level of Vitamin C which makes them ideal for boosting the immune system. The vitamins work to fight against free radicals and infectious agents. The huge amounts of nutrients digested from eating the seeds of the Moringa plant boost the immune system and help to heal bruises, cuts, burns and minor injuries in a more timely manner. Rich in Zinc, Calcium and plenty other minerals, Moringa seeds ensure overall well-being. Other minerals found in the seeds such as Iron reduce and prevent anaemia symptoms. The calcium keeps bones and teeth strong. Zinc has been known to facilitate in spermatogenesis (the process of sperm production in men). On a more charitable scale, Moringa seeds, oil and seed cake are being tested and used for treating dirty water. This paves the way to cleaner drinking water facilities in third world countries and could fight against life endangering diseases in these areas. There’s plenty more Moringa seed benefits too, like helping with weight loss, constipation or insomnia. By looking after our bodies internally, Moringa seeds can benefit our hair. Vitamin C present in the seeds can encourage and improve blood circulation through the scalp to help hair follicles grow and strengthen. This results in fully, healthier hair. Zinc and Vitamin A also promote hair growth. Nourishing the hair tissues and repairing the cells, Zinc keeps sebaceous glands unclogged so the follicles can absorb as much nutrients as possible. Not only are the seeds great, but the oils extracted from the seeds can be used as shampoo – to help get rid of itchy scalps and dandruff. With these striking results, it’s no surprise how the Moringa seed has become a well-known super food across the globe. These crucial vitamins are essential for the body to fight free radicals and prevent severe oxidative damage. How to use moringa seeds ? The seeds are rather unique in appearance; with grey-ish white ‘wings’ surrounding them. However, just like other seeds, Moringa seeds can be eaten like nuts and added to cereals and trail mixes. When mixed with grains and hemp seeds, the Moringa will give you a boost of energy. Alternatively, if you are able to find fresh Moringa seeds in your local health shop, serve them boiled like peas with main meals. They can also be steamed or roasted for stews and sauces. Others suggest the seeds can be popped like popcorn but you should still be weary of how much you intake. So far, Moringa is fairly new in the Western world. Therefore strict dosage levels have not been implemented. If you’re worried about using too many or too little Moringa seeds, be sure to ask the counter staff or a nutritionist. Moringa should be taken within moderation. The above outlines maximum dosages. Before reaching these levels, try out small doses as each body will react differently. If you experience side effects or reactions you were unaware of prior to taking Moringa, stop immediately and consult your GP. Like any supplement, there are a few warnings to be aware of before using Moringa seeds for personal benefit. Despite this supplement being entirely natural, there can be complications and side effects, so it’s best to know a few warnings before beginning any treatment. Some people suggest keeping the peel on and washing the seeds thorough with salt water can be beneficial when trying to lose weight and detox. However, we would not suggest eating the seeds with the peel on. Do not eat the seeds if you are pregnant or lactating. Whilst eating the leaves and powders of the Moringa plant are deemed safe whilst pregnant, the seeds are very high in fibre and concentrates of vitamins so it is not advised to intake these during the pregnancy. In contrast however, Moringa seeds are great for improve libido and maintaining the reproductive cells. This may be helpful if you are trying to conceive. The Moringa plant – also known as the ‘Tree of Life’ – has been a great food source for indigenous cultures for thousands of years. Rich in nutrients and minerals, the plant provides the essential amino acids the body needs to grow stronger. 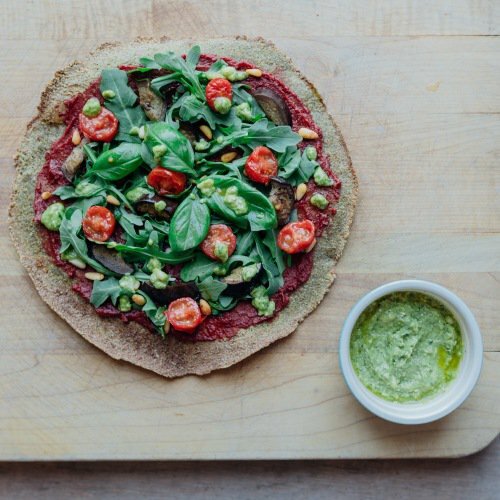 These crucial nutrients are also found in quinoa and meats, but in less manageable quantities. The plant has always been used in Ayurveda practices from Ancient India to cure and improve energy, sleep problems, hair, skin and boasts a nice 300 diseases in its healing repertoire. Moringa is grown in South Asia and the tropics and has a rapid growth rate. It can be grown in harsh soil and weather conditions and remain perfectly fine – making it the ideal source of food for third world areas. It can be harvested at any time of year and works as a nutritional enhancement for countries like Malawi and Senegal. How does moringa seeds look like ? The seed itself has a very unique appearance. Evolutionarily designed with grey wings, the seeds are carried by the wind to fertile grounds to grow into Moringa plants further afield from the parent. They are circular in shape and rather large for a seed. They’re found in the pods of the tree which typically look like green beans. These green bean-like pods can grow to huge lengths and shed dozens of seeds. During the reproduction months, the Moringa tree provides hundreds and thousands of seed pods, resulting in masses each year. Despite the seeds only growing on a yearly basis, it’s worth the wait thanks to their hugely nutritional benefit. As you can see there’s a tonne of goodness squeezed into the plant. It’s clear to see just how amazing the Moringa plant and its seeds can be for the human body. Whether it’s working to prevent illness, heal and improve health, it really is the best superfood out there. With its ability to offer a natural medicine and supplement, whilst fighting the battle against third world devastation, there’s really no downside to the plant. 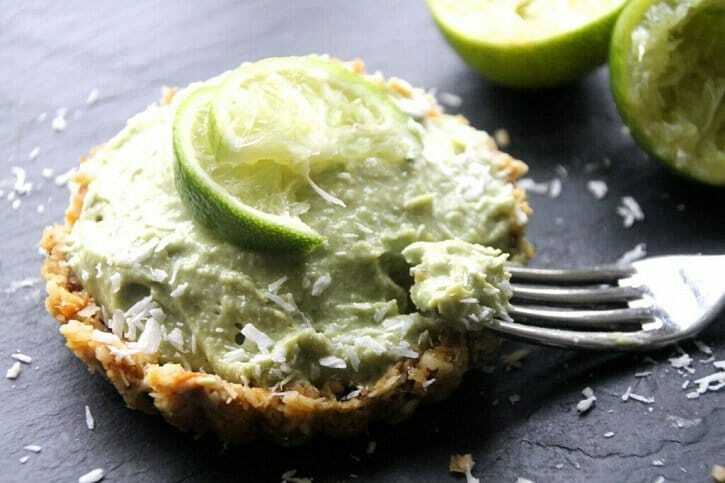 There’s a huge range of recipes online that incorporate the leaves and seeds of the Moringa plant, so there’s plenty of ways to get your hands on the Moringa seed benefits. What are the Benefits Using Moringa Products? Est ce que ces graines peuvent provoquer un avortement chez une femme enceinte ?? Les graines ne doivent pas être consommées par une femme enceinte. I have diabetes and am told my kidneys are at 53 and not 60. Will moringa seeds harm my kidneys further? Les graines feuilles ou racines perdent elles de leurs bienfaits lorsqu’elles sont soumises à des températures de cuisson? Bonjour, merci pour les conseils sur les graines du moringa, j’en consomme avec la coque et je n’ai jamais été gênée. Seulement, je voudrai connaître la fréquence de consommation. J’aimerais savoir si vous conseiller les graines ou la feuille dans le cas d’une colite ulcéreuse … ou tout deux sont déconseillés? Merci pour ce que vous faites pour sauver des vies, surtout dans les milieux où les moyens des personnes sont limités. En effet, moi j’ai expérimenté le Moringa de plusieurs manières. Je prenais jusqu’à six grains et même parfois plus au cours de la journée. Mais je n’ai pas obtenu un bon résultat. Mais à partir du moment où j’ai pris la décision de prendre dix graines un jour en jeun, j’ai pu me vider. Le lendemain, j’ai diminué à huit. Même réaction. Le jour suivant, six graines, même réaction et maintenant, j’ai pris cinq graines je n’ai pas encore de réaction. Je voudrais demander. Est-ce qu’il faut le prendre forcement après un repas dans la journée? Ensuite Est ce que les graines de moringa se périment après plusieurs années et combien d’année doit on conserver la graine de moringa. I have a moringa tree in my compound the seeds are like green beans, so are you talking about the dry seeds or the freash once ? Leave them on the tree to dry and then open the pods and there you’ll see the seeds!!! Est-ce possible de moudre les granes et faire et une décoction ? Nous n’avons personnellement jamais essayé de consommer les graines de cette manière. Nous privilégions d’enlever la petite coque de la graine et de les croquer. Salut à vous. je suis enceinte et je viens de croquer deux graines de moringa avant de me rendre compte que ce n’était pas recommandé. Est-ce dangereux? Les graines ne sont pas recommandées si vous êtes enceinte. Évitez à l’avenir, et privilégiez plutôt les feuilles en poudre, qui sont tout à fait adaptées :). les graines de Moringa agrandissent elles la verge ? A ce jour aucune étude ne prouve que les graines de Moringa puissent agrandir la verge. Elles sont cependant très efficaces pour la libido et l’endurance sexuelle ! Moringa Seed is my tablet, best in handling indigestion and gassy stomach. I had indigestion with heavy gas and pain, all I did was to eat 2 seeds of moringa seed at night before bed, by morning I felt like nothing happened. Ones I feel like going to experience it, I eat moringa seed. Always handy in my pocket going for buffet parties. 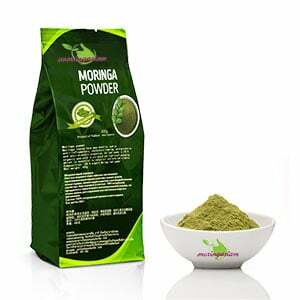 Thanks for giving me information about moringa powder, after reading your article i bought and it is really effective. Est-ce que filtrer l’eau avec la poudre de moringa donne un goût à l’eau ? Bonjour, Vous pouvez diluer la poudre de Moringa dans un verre d’eau pour profiter des vertus du Moringa. L’eau va ainsi prendre le goût du Moringa. Pour purifier l’eau, il ne suffit cependant pas de mettre de la poudre de Moringa dedans, le processus est réalisé grâce au résidu de graines, une fois utilisée pour l’huile. Bonjour. Je voulais savoir est ce que ces graines sont efficaces contre l’ulcére? I’m from the Philippines, a 54 yrs.old. vu par ses vertus exceptionnelles ,j’ai conseillé à mon épouse de consommer les feuilles de moringa ,comme longtemps ,elle souffrait du gastrique. Nous avons utilisé plusieurs produits,mais enfin,j’ai constaté que ces produits atténuent mais ne guéri pas.Elle negligeais au preable,une fois tard dans lui,elle commença à sentir la douleur,comme j’en ai planté chez moi,j’ai recueilli quelques feuilles et lui donné ,5mn après ,elle me disais que elle ne sent pas la douleur maintenant,et depuis ce jour elle m’a jamais dis qu’elle sent la gastrique …c’est vraiment un arbre miraculeux! Bonjour, pour soigner les hémorroïdes, comment a fait votre mari pour la prise de la Moringa? (sèche, fraiche, en tisane…?) Merci. Yes a good friend of mine used it for irregular periods and she testified it worked really great.she boils the leaves n drains our the water to take in the morning. Slt a vous membre du moringasiam;j’ai lu et apprécié vos explication sur les vertus de cette graine.j’aimerais savoir s’il existe une gamme varie de produit cosmétique a base de moringa pour palier plus facilement aux problème de peau ????? Bonjour, une question est ce que le Moringa peut guerir la maladie d’estomac? Merci beaucoup! Étant nutritionniste et technologue, j’ai bien compris ce que pouvais nous apporter juste en consommant soit l’écorce, la feuille ou les graines de moringa oleifera. Infinement merci!!! Merci pour votre retour, en effet le moringa regorge de vertus 🙂 ! Thanks for this opportunity. I just got to know the wonderful benefits of moringa seeds. How long can I take the seeds? i chewed two per day,is it a most to increase it? You may increase up top 5 seeds / day ! Add 1 seed per day every week. what is the side effects of using moringa seeds? Can moringa seed cure GERD? A number of studies revealed the positive effects of moringa LEAVES in bringing relief to digestive tract issues.Published results proved activity of moringa leaves in relieving ulcer symptoms. The leaves were found to improve the condition of laboratory rats suffering due to gastric ulcerations. Hope that helped 🙂 ! hi everyone, Moringa olifera will solve almost all your health problems. what fascinates me most is my kids, they like chewing a seed before taking some water, try it. Its amazing how the water tastes nice. I bet you’ll love it. Moringa has made me feel young allover again. I have fibroids and I want to have a child can the seeds help shrink my fibroids? En effectuant des recherches, j’ai lu que les graines de moringa pouvaient combattre le staphylocoque aureus. Ma fille de 5 ans et demi en est porteuse (ça se manifeste souvent au niveau du nez). On ne lui donne plus d’antibiotiques car ils sont inefficaces. Combien de graines pourrais-je lui donner par jour svp? Does moringa seed prevent someone from getting pregnant? ?? If yes what is the doze of the seed can someone take ? While you should avoid Moringa Seeds if you’re pregnant, it is totally OK to take Moringa seeds (3 to 5 per day) if you’re not. Seeds won’t prevent someone from getting pregnant. can I take moringa seeds after drinking alcohol? Hello. Can one take Morninga seen when is pregnant? How much per day For a normal person. ? FYI..moringa seed can also cure ashma if your kid had ashma give one seed or 2 might good. i am 36 years of age and planning to get pregnant soon. i was treated cycst years ago but sometimes i do have pains on my left side. i think they came back. can Moringa seeds be able to help me in cleaning my tube as well? or can you advise me on any Moringa products that will help me. 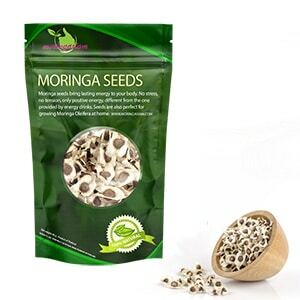 As getting pregnant you shouldn’t eat Moringa seeds. Instead, use Moringa leaves (powder or capsules). Eat 5 capsules / day or 2 teaspoons / day if you prefer the powder format. Hope that helped ! Have a nice day. un petit detail ,je suppose qu’il faut enlever l’enveloppe d e la graine pour la consommer?? They are many products that we sell at the retail and wholesale level. Please send us your requirements to contact@moringasiam.com. C’est en regardant la télé que j’ai entendu parler de la graine de Moringa, doit-on en parler a notre médecin traitant avant de prendre ceci ou on peut la prendre comme ça ? Ou puis-je en commander ? Il n’y a pas de contre indication quand à la consommation de Moringa, sauf si vous êtes enceinte (il faudra dans ce cas privilégier les feuilles). Une dernière petite question :), le thé est aussi efficace que les gélules ? ou vos mieux privilégié les gélules ? Nos infusions de Moringa ainsi que nos gélules sont constitués à 100% de pures feuilles de Moringa (nous ne mélangeons pas les tiges ou autres éléments sans haute valeur nutritives). Ainsi, que vous consommiez des gélules ou du thé, il s’agit du même produit et vous obtiendrez tous les bénéfices du Moringa dans les deux cas. Seul le mode de consommation change, en boisson ou à avaler, à vous de choisir 🙂 ! Can moringa seed and plant get rid of sciatic nerve pain? Moringa has anti-inflammatory properties, which can help you to fight against sciatic nerve pain. 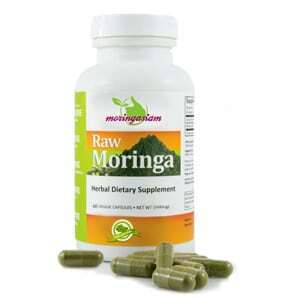 You can as well swallow the moringa seeds. You get same results. Merci pour ces précisions sur le Moringa. le moringa peut-il être utilisé pour guérir le cancer du sein et comment ? Le Moringa améliore le système immunitaire et aide les cellules à se protéger des radicaux libres grâce à sa haute teneur en antioxydant. Il est donc efficace pour prévenir des risques de cancer et d’autres maladies, mais n’est pas à proprement parler utilisable pour réellement guérir du cancer. N’hésitez pas à vous renseigner sur le corossol (https://www.moringasiam.com/fr/graviola-corossol/) pour des bienfaits à titre préventif et curatif sur le cancer. Pls can moringa cure staph infection ? Je souffre du diabète de type 2. J’ai pu obtenir les grains de Moringa chez moi. Combien de graines vais-je prendre par jour et comment pour reduire le taux de glycémie? Peel off the outer layer of the seed with your fingers. You can eat 3 to 10 seeds every day. Start with 3 and increase overtime according to your wishes and results. You should start with 1 seed / day and increase up to 5 seeds / day for the best results. Etes-vous sûre que votre augmentation du rythme cardiaque soit liée à la consommation de Moringa ? Pourriez-vous nous indiquer quelle partie du Moringa vous consommez (écorce, feuilles, graines, fruit) et dans quelle proportion ? merci pour vos conseille, moi je suis très mince et j’aimerai prendre du poids l j’ai des plants et graines a ma disposition, es-que cela peut m’aider a avoir plus de poids? si oui comment svp! moringa seed is so nutritious in the body, i tested it and it`s good for health.the example i proof to you is that, when start eating moringa seeds, there was a day i go for my cd4 test and result was very amazing,my cd4 rised 456 to 1256,it was amazing improvement,trust me i can’t lie. La médecine avec les plantes c’est très captivant. Le grand problème reste sur le dosage juste. Quel sont les risques de la consommation de Moringa: écorce, graine, feuille ou racine? can i get fat while using moringa seeds? i have hapetitis B and is not cronical,must i used moringa seed? my eyes are soo yellow! Pls, kindy update me more on the uses of moringa plant, leaves & seeds for the treatment of high blood pressure & lowering of high blood sugar. Hi, is it safe for children? Are the seeds edible prior turning black? When they are still light in color, are the edible? Are they nutritious? Salut Mme et MR de la boutique merci pour tous les conseils . Nous sommes très heureux d’avoir pu vous conseiller. Au plaisir 🙂 ! Cela fait 3 mois que je consomme 1 graine de morenga par jour et miracle mon astigmatie a clairement reculé, j’ai 65 ans et porte des lunettes pour la presbytie et astigmatie depuis des années. Prochainement je vais faire un contrôle pour me refaire une nouvelle vue. Bonjour Michèle et merci d’avoir pris le temps de nous écrire, nous sommes vraiment ravis des résultats que vous avez pu obtenir sue votre vue grâce au Moringa ! Nous espérons que votre contrôle s’est bien passé. Please can moringa seed and leaf be taken together? 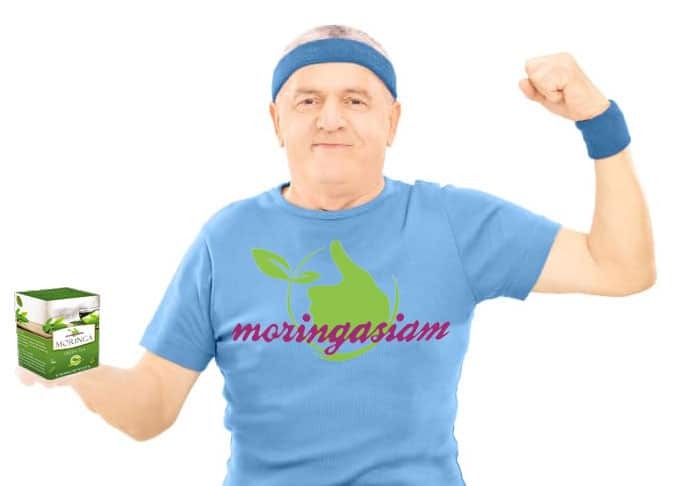 Le Moringa semble encore plus efficace qu’ il n’y parait ! Merci pour votre message. I have some dried moringa seeds I bought at a special promotion event about 4 years ago. I checked the package for instructions but there was none. Do these seeds have a shelf life? I’m wondering about the sprout-ability of moringa seeds. I’m sure they will sprout, but will they produce a fodder that can be eaten raw or cooked ? Anyone have any information on the nutritional value of the sprouted moringa seeds? I’m seriously thinking of growing these, but wonder what to do with the fully mature seed pods that will inevitably be produced. I’ve read that the young pods can be cooked like green beans. Any information about the sprouting the seeds would be appreciated. I have grown the tree from dried seed bought online and ate the fresh and dried leaves from it. The frost has killed it both years so I haven’t gotten a pod harvest. The leaves are very small (a coin) but easy to pick. They are more tender than spinach. I am working on the water issue in third world countries, and I think this sounds very interesting. Can someone tell me more about whom is making these tests. Maybe give me contact even.? L’arbre de vie avec ses vertus indéterminées. Je veux perdre de poids et mon ventre. Comment consommer les graines de moringa? I grew up eating the pods cooked in fish curry and fall. I just got back from Guyana and it’s selling everywhere, I got a lot from my family tree , I eat the seeds but I don’t peel them because I can’t be bothered. Is it bad ? where can i get this moringa seeds in kiambu county kenya. @ nelson I want the seeds …. Merci pour tous ces details. Très bonne analyse je suis ravie de mes recherches sur le moringa merci beaucoup j’en consommerai dorénavant .en passant la coque peut elle être consommée ? Non, il est préférable d’enlever la coque avant de consommer les graines. Nous recommandons normalement d’enlever la petite coque de la graine pour que ce soit plus facile à manger, mais en effet il n’y a pas de contre indication 🙂 . 5 graines par jour et la dose préconisée, nous conseillons cependant de commencer par une graine par jour puis d’augmenter petit à petit jusqu’à 5 à 10 graines selon les résultats observés. Merci pour votre retour, et au plaisir 🙂 ! Can these seeds be eaten dry or do they need to be fresh to eat? How many seeds are needed per day to help with weight loss? Intakes of nutrients vary by age and gender. Concerning Moringa seeds, 3 to 10 seeds / day are recommended. whats is the average dosage (mg) in a seed. We’re definitely glad to hear it 🙂 ! How do you take Moringa by the way ? Does boiled moringa leaf taken as tea work?I prefer drinking it as tea. You can mix Moringa powder in a cup of hot water and drink it as tea. 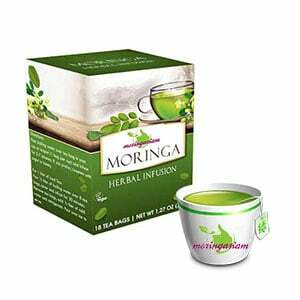 You can also order moringa tea at our shop. i just started taking the moringa seeds about 2 weeks ago. i have noticed that my need for coffee has subsided. I eat 2-3 seeds a day. usually when i start to tire. In many cases, Moringa seeds are definitly helpful ! You don’t have to worry about drug test when consuming Moringa seeds. How many seeds of moringa I can take daily? I am 105 lbs only, 43 yeast old. Pls. Can you respond to me.